In November 1922, Noble-Prize winner Albert Einstein (March 14, 1879–April 18, 1955) was in Japan to deliver a series of lectures. 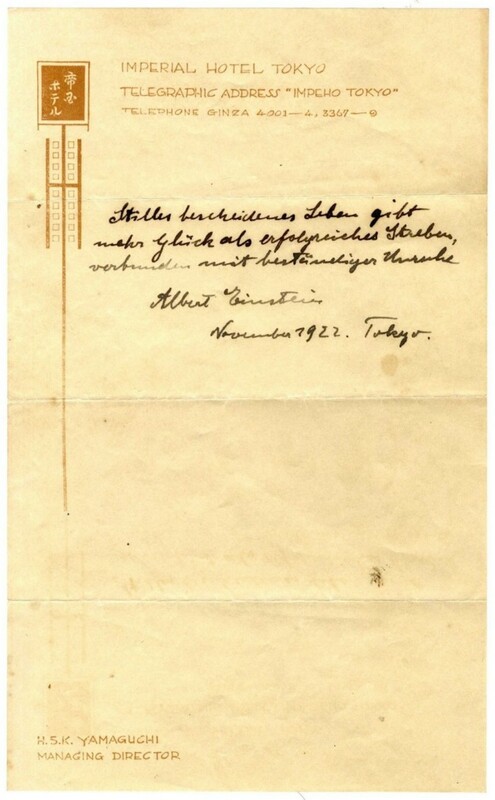 At Tokyo’s Imperial Hotel, Einstein was greeted by a bellboy delivering a message. 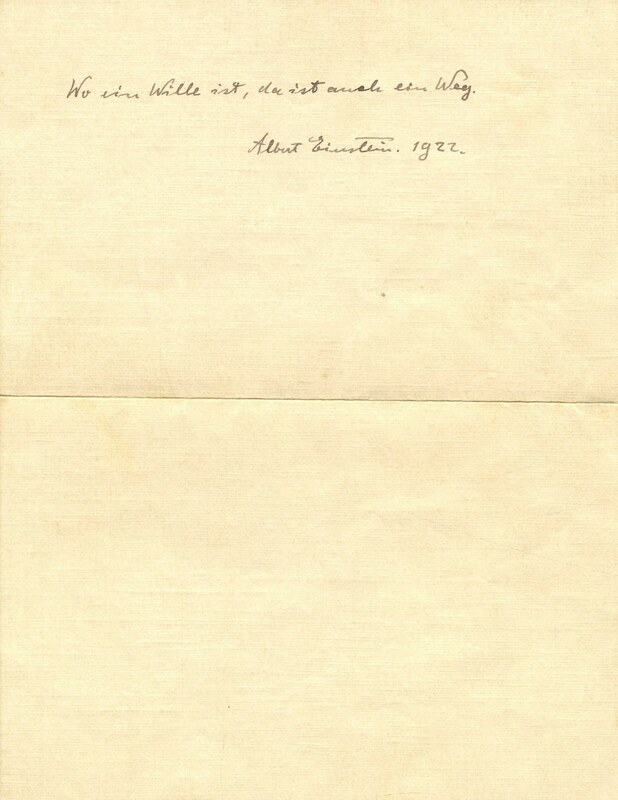 With no cash to hand, Einstein wrote a note on a sheet of hotel stationery and handed it to the man. “Stilles bescheidenes Leben gibt mehr Glueck als erfolgreiches Streben, verbunden mit bestaendiger Unruhe,” he wrote. (Translation: A calm and modest life brings more happiness than the pursuit of success combined with constant restlessness). He told the messenger that if he was lucky, the notes would become valuable. On October 24, the courier ‘s nephew sold the letters at auction for $1.56m. Via Winners and Flashbak, which has more.